G.P. Putnam's Sons Books for Young Readers, 9781984812506, 192pp. 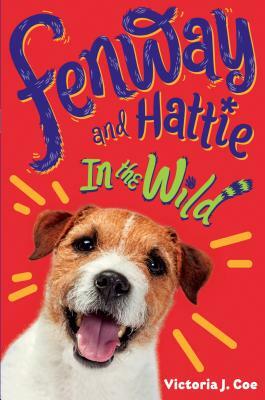 In the fourth book in the adorable middle-grade series, Fenway gets a taste of the wild when he goes on a back-to-school camping trip with Hattie. When Hattie starts using a word Fenway hasn't heard in a long, long time - "skool" - some other things change as well. Hattie's bushy ponytail disappears, clothes that smell like no one ever wore them get tossed around her room, and she smells nervous much more than usual. Then the family fills the Food Box with yummy hot dogs and loads it in the car. Fenway is thrilled that he gets to go along where ever they are going, and is even more excited when they arrive in the wilderness with tons of new scents to investigate, dogs and humans to meet, and lots of meat cooking over fires. Hattie seems excited about it all, too, and happy her friend Angel also came, but when more families arrive with lots of new kids, she smells nervous again. Especially when one certain kid that all the others seem to follow everywhere starts bossing everyone around. Fenway can sympathize, because a tiny dog is doing the same thing to all the other dogs. Fitting in can be a tough business, but luckily both Fenway and Hattie come around to realizing that being true to themselves is much more important. Victoria J. Coe grew up in the seaside community of Duxbury, Massachusetts and went on to live in New York and San Francisco, as well as large and small towns on both coasts. She now lives with her family on the outskirts of Boston, where she and her dog are always on the lookout for delivery trucks. And squirrels.